Because plants require moisture to grow and thrive, your garden will probably suffer during periods of low rainfall and intense heat. Insufficient soil moisture will result in smaller flowers and fruit, stunted plant growth, decreased root development and increased plant disease and insect damage. 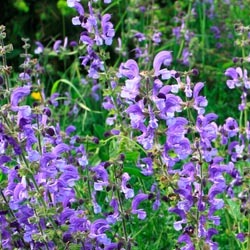 Fortunately, there are many things that you can do to minimize the impact of drought on your garden. First, amend soil immediately around plants, in landscaping beds and in the garden, but aim to amend all your soil and lawn eventually to improve its condition and drought-resistance. Swapping out just a few water-hogging plants for more drought-tolerant options in your landscape can have a remarkable impact on saving water and still having a lush garden. During a drought, you will need to water your garden, flowerbeds and lawn more thoughtfully to keep them well-watered but without waste or excess evaporation. The best way to water a garden is by drip irrigation or a soaker hose. 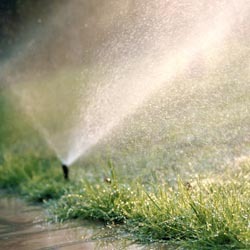 Soaker hoses allow deep watering without runoff. Moisture goes directly into the soil where every precious drop can be absorbed by plant roots. With conventional overhead watering methods, about 35 percent of the water used is wasted due to evaporation. Time saving tip: Install a timing device with a moisture sensor to automatically turn your irrigation system on and off as required relative to any rainfall. Sprinklers should be used primarily for lawns. Newly seeded or sodded areas must be watered daily during the summer months until established, then frequently through the first growing season. Rain gauges are good for checking the amount of rainfall or for sprinkler placement. Lawn Tip: Do not cut lawns shorter than 3” in the summer. This will shade the soil surface to allow the soil to remain cooler. 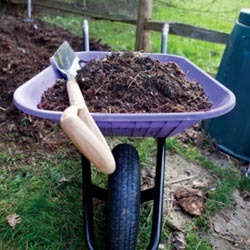 Also, use a mulching mower to return moist clippings to the soil. Containers and hanging baskets should be checked for watering every day. Watering wands are used for watering containers and hanging baskets, as they give a gentle spray without splashing the soil. Container Tip: When planting your pots and hanging baskets, incorporate moisture retaining polymers into the soil. When the soil starts to dry it will pull from this reserve. With some thoughtfulness about your plants’ watering needs and how to meet those needs, it’s easy to deal with drought conditions without sacrificing your plants.